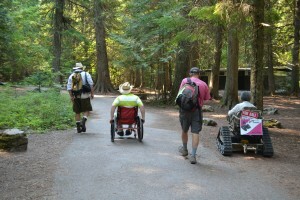 As recent as 20 years ago it was difficult if not impossible for people with disabilities or seniors with mobility issues to fully enjoy their state and national parks because of very limited access. I remember when I first incurred my disability and realized I could not access the places that used to give me so much contentment and joy. I was frustrated and disappointed. Before my physical disability I paid little attention to what might not be accessible. My first camping trip after my mobility limits was very eye-opening. The bathroom doors were very heavy and too narrow to get my walker in without turning it sideways then hoping someone would be around to hold the door open. The stalls were also too narrow for the walker. The grounds were uneven and treacherous and nearly impossible to find a level area to fish from. In order to take a shower I took my folding outdoor chair to sit on inside the stall. There were steps to every building. The campsites closest to the restrooms were reserved for large motorhomes. Interestingly, I was not the only one trying to navigate through the park as there were several young mothers with strollers having the same logistical problems. Access was sorely needed for all ages. 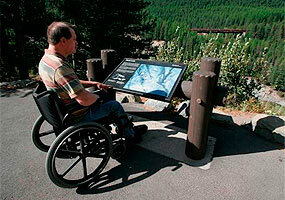 Every state now has accessible parks. You can check out yours by going to your Conservation Department website. A few of the more well-known ones are Yellowstone National Park, Everglades National Park, the Denali National Park, Grand Canyon and Smoky Mountains. There is a complete list at www.nps.gov . There is also a very resourceful website from Southwest Center for Independent Living at http://www. swcil.org. Take a look at “Day at the Range” and “Day at the Lake” events. There are even accessible canoes, kayaks and fishing boats. 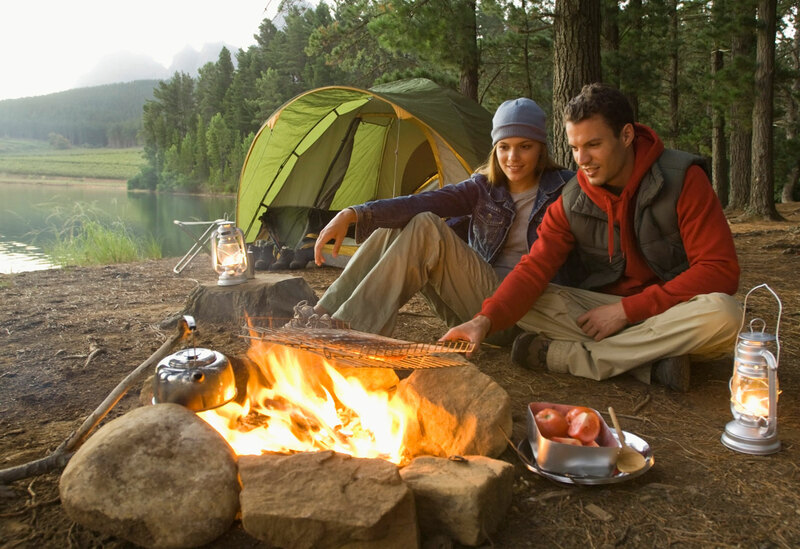 The whole outdoors has opened up for everyone to enjoy.